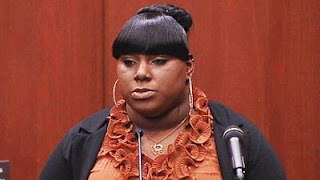 OK let's get the obvious out of the way up front: Rachel Jeantel was not a great witness for the prosecution. 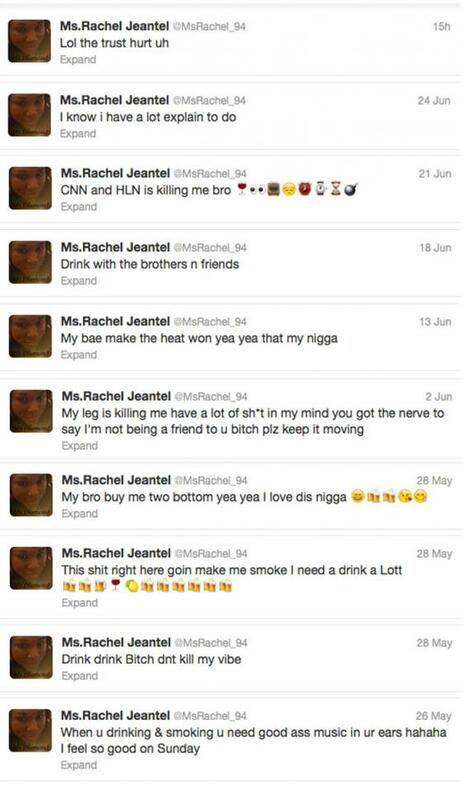 Before we expand on this point, it's important to observe a few other facts about Rachel Jeantel. First, she did not ask to be put into this tough situation. Second, she was the last person to talk to Trayvon Martin (other than George Zimmerman) before Trayvon was killed, a fact that would weigh heavy on any of us. Third, it is undoubtedly uncomfortable (to say the least) to be seated in the same room with the man who killed your friend. And lastly, lest we forget, the girl is only 19 years-old. So she can certainly be afforded some slack here. 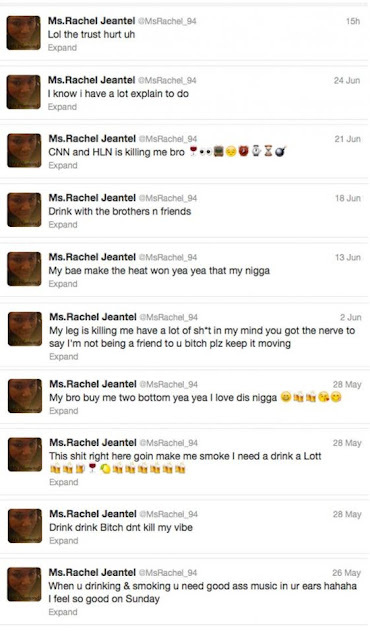 Nevertheless, there is a serious problem underlying her poor performance in the courtroom this week which is common to not only Rachel Jeantel but to millions of Black youth all over the country: too many of our youth think it is cool to be uneducated. Rachel is a 19 year-old high school student who will be starting her senior year this fall. Since her birthday is February 1st, that means she will still be in high school at the age of 20. She tweeted last year that she failed the "fCAT". In addition, her testimony this week bordered on the unintelligible, often prompting the court reporter to ask Rachel to repeat herself several times. Both the defense attorney and the prosecutor struggled to understand many of the words she used and the manner in which she used them. At one point it got so bad that Tracy Martin, the father of Trayvon Martin, actually buried his head in his hands. Listening to Rachel Jeantel speak actually makes me sad because she's not even aware of how her lack of education has impacted her life. 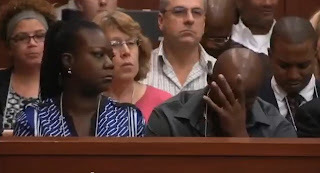 Moreover, her lack of education has now impacted the lives of Trayvon Martin's parents who were counting on her to provide key testimony for the prosecution. Which begs the question: why don't more of our youth value education? When I was 19 years old, I was a sophomore in college majoring in Architectural Engineering. I had been elected as President of my school's National Society of Black Engineers (NSBE) chapter, was involved in student senate, the Black Student Union, and had applied (and, at the age of 20, would soon be accepted into) two organizations which allowed me to give back to high school students who came from backgrounds like mine: Kappa Alpha Psi Fraternity, Inc. and the Upward Bound Program. Through Kappa I participated in our Guide Right program which focused on mentoring young Black boys. Through the Upward Bound Program I taught math and science to high school students of all races who came from poor families and helped them make the transition from high school to college. I've run across countless numbers of Rachels during my years of mentoring the youth, and it makes me wonder how I got to where I was at at the age of 19 versus where somebody like Rachel is at at that same age. How did I get there? What made my journey so different? A number of things. First and foremost God's grace (for my atheist friends out there, we can just call it "The Universe"). Coming in at a close second were, of course, my parents who set the expectations high from day one. Third, I had support from my church family. Fourth, I had teachers who believed in me and pushed me to do more. And finally, I had the ultimate motivator for any teenager: my peers. Which is to say I hung out with the crowd of students in high school who actually wanted to graduate and go on to college to do big things. They thought it was cool to be smart, so I, in turn, thought it was cool to be smart. Although all of these factors were necessary, I submit to you that this last factor of peer pressure had the most direct influence over my actions as a teenager. And that brings us back full circle to today's youth. There seems to be a shared sentiment among the youth of today, and in particular among the Black youth, that it is cool to be uneducated. Black students have long been victim to the notion that sounding educated (ie. speaking proper English) is to "sound White." But today's youth go even beyond that notion. With the constant inundation of successful reality TV personalities, hip hop stars and athletes, many of them don't even acknowledge that an education plays any role in their lives whatsoever. They don't find out until it's too late that those people are actually the exceptions to life, and not the rule. And for the record, many of our schools and so-called educators are more than happy to pass these kids through the system and out into the world without the basic skills needed to be successful (I'd need an entirely separate blog post to fully explore this issue). I can appreciate that Rachel Jeantel suffered through a difficult experience this week during her time on the stand but perhaps there's a silver lining to this dark cloud. Maybe, just maybe, this life altering experience, which has captured the attention of the entire nation, may prompt her and others who can relate to her to do some soul searching about the true value of education. Seeing Jeantel struggle with basic English may not go so far as to convince today's youth that being smart is actually "cool", but it most certainly let them see for themselves that being uneducated is not cool.